Sony Interactive Entertainment Announces PlayStation Classic – Spotlight Report "The Best Entertainment Website in Oz"
The design of the PlayStation Classic resembles PlayStation, including the button layout, as well as controllers and outer package, but in a miniature size, it is 45% smaller on the sides and 80% smaller in volume than the original console. Pre-loaded with 20 PlayStation games such as Final Fantasy VII (SQUARE ENIX Co., LTD.), Jumping Flash! (SIE), R4 RIDGE RACER TYPE 4, Tekken 3 (BANDAI NAMCO Entertainment Inc.), and Wild Arms (SIE). 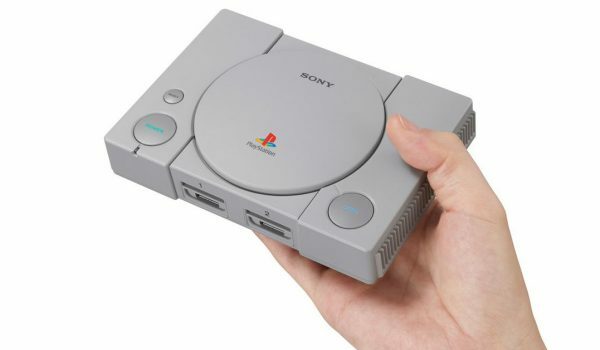 PlayStation Classic is a perfect fit for nostalgic PlayStation fans that enjoyed playing the original PlayStation as well as gamers new to PlayStation who want to experience classic PlayStation games from the 1990s.